Last month I had an idea for the Improv Challenge ingredients but silly me waited until the last minute and the recipe just did not turn out so I sadly didn’t get to participate for a month. Which left me too much time to contemplate whether this was the best recipe to make or not. When I think of chocolate and marshmallows I immediately think of hot chocolate followed by s’mores. I didn’t want to do either of those for this challenge so I attempted to think outside of the box but got hung up on the idea of Rocky Road Ice Cream. I was about 6 the first time I tried Rocky Road ice cream and I was immediately intrigued as to how they got the marshmallows in there to keep their chewiness. It seems as though its not an easy ice cream to find in most places (sometimes even here) but since so many people like it, I figured it was definitely the best choice to make for this challenge. 1. Combine the sweetened condensed milk and cocoa powder together in a saucepan over low heat, stirring constantly with a whisk until smooth. 2. Then stir in the creams and vanilla until combined. 3. Transfer the mixture to your ice cream maker and follow manufacturers instructions. Add in the pecans and marshmallows before freezing. I had a hard time getting the cream to mix into the condensed milk/cocoa powder mixture but I think it all worked out in the end. This tastes just like the Rocky Road ice cream you can pick up at the stores. Good pick for the ice cream. I completely loved having these two ingredients this month. I loved Rocky Road as a kid, too. I haven't had it in years. I did ice cream too this month! 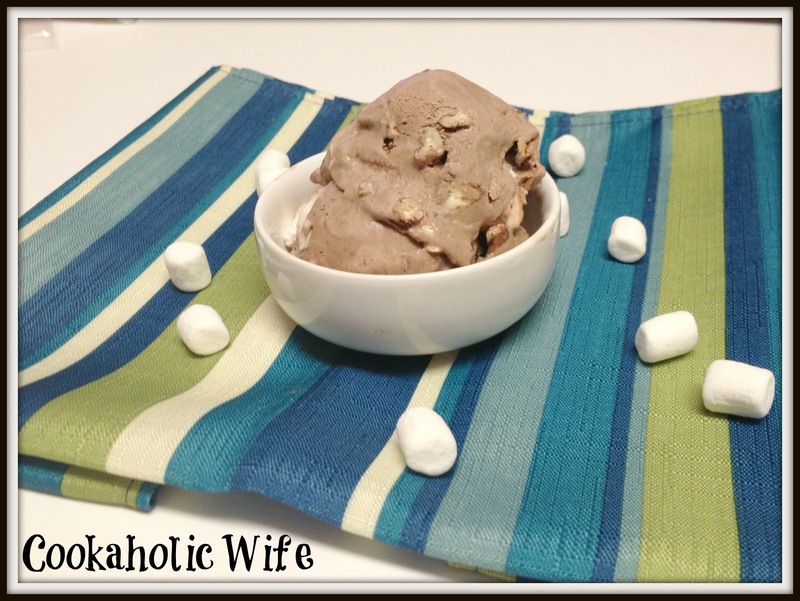 Rocky Road is one of my favorite flavors and I've never made it at home. I'll have to give your recipe a try. Mmmmmm….this is my dad's favorite ice cream! I'll have to treat him to a batch on his next visit!